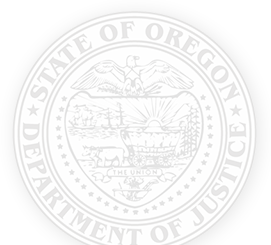 The Civil Enforcement Division is the Oregon DOJ's plaintiff's civil litigation arm and enforces selected criminal laws. Lisa is the chief counsel of the Civil Enforcement Division, which handles a wide range of issues including consumer law, Medicaid fraud, charitable activities and child welfare. Lisa began her career with the Oregon DOJ in 2002 as an attorney with the Civil Recovery Section, where she spent many years working on issues relating to the Tobacco Master Settlement Agreement. 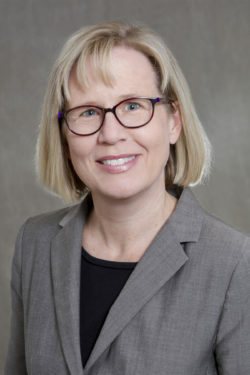 Prior to working for the Oregon DOJ, Lisa worked in private practice in Salem, Oregon, and as an enforcement officer for the Department of Consumer and Business Services Division of Finance and Corporate Securities (now the Division of Financial Regulation). Lisa received her B.A. from the University of Minnesota and her J.D. from Willamette University College of Law. The Charitable Activities Section oversees the activities of charitable and other nonprofit organizations. It also enforces laws related to charitable trusts, charitable solicitations and nonprofit gaming. The Section can take civil legal actions against organizations breaking the law. For more information about charitable organizations and fundraising in Oregon, see the Charitable Activities Section ». The Civil Recovery Section assists state agencies with litigation. Any state agency may refer cases to this Section. There are Civil Recovery attorneys and staff in Pendleton, Portland, Salem, Eugene and Medford. They handle child support enforcement hearings in all Oregon counties. The Child Advocacy Section helps protect abused, neglected and abandoned children throughout Oregon. It provides court representation and legal advice to the Department of Human Services’ (DHS) Child Welfare Program ». There are Child Advocacy attorneys and staff in Portland, Salem, Eugene and Medford. Attorneys handle juvenile and circuit court hearings and child support enforcement hearings in all Oregon counties. Child Advocacy attorneys provide a wide range of legal advice to DHS child welfare workers. They often represent DHS in contested juvenile and circuit court hearings and help achieve safe and permanent placement for children. The Financial Fraud/Consumer Protection Section enforces the Unlawful Trade Practices Act, commonly known as Oregon’s consumer protection law. The Section also educates consumers and businesses. Consumer complaints are the best way to identify potential fraud and marketplace abuses. The Section’s consumer hotline gets tens of thousands of calls every year. As complaints are received, enforcement officers investigate and mediate disputes to help protect consumers. The Section educates consumers through a number of consumer-friendly materials, in-person presentations, the Scam Alert Network » and Twitter account ». To schedule a presentation or request materials, contact Ellen Klem at 503-507-1061. The Unlawful Trade Practices Act (UTPA) protects Oregon consumers. This law allows businesses to enter into an Assurance of Voluntary Compliance (AVC) before the Section files a formal complaint. An AVC requires the businesses to stop the unlawful practice and agree to not violate the law in the future. In cases that may result in financial harm to consumers, the Attorney General may seek $25,000 in penalties for each violation, an injunction, attorneys fees and restitution. The Attorney General enforces federal and state antitrust laws and assigns responsibilities to the Financial Fraud/Consumer Protection Section. Antitrust complaints are usually allegations of price fixing, unlawful group boycotts and bid rigging. Victims include consumers impacted by higher prices and limited choices, and businesses unable to compete fairly for customers. Antitrust matters often involve other jurisdictions. The Medicaid Fraud Unit handles fraud by Medicaid providers. It also handles physical or financial abuse/neglect of residents of Medicaid-funded facilities. The Medicaid Fraud Unit receives referrals from many sources, including federal, state and local agencies. The unit reviews referrals for potential criminal prosecution as well as civil remedies, when appropriate.